We’re thrilled to welcome you to our brand new online home. 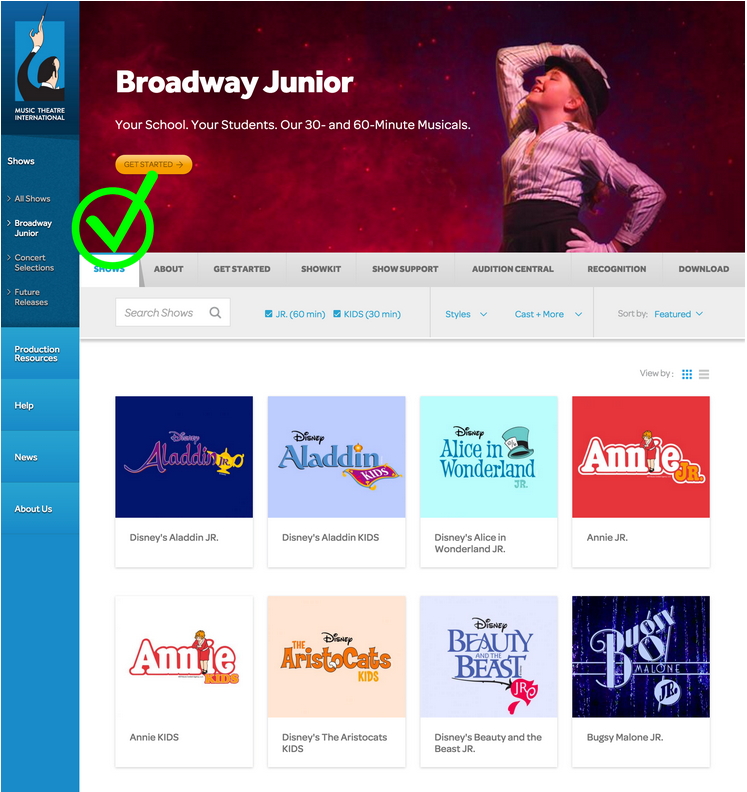 We’ve taken the best features from all of MTI’s different websites and social media channels to provide you with the ultimate musical theatre experience all in one place! We hope you enjoy exploring what we have to offer, and invite you to send us feedback so we can continue to make enhancements. ​No more logging in and out with different email addresses to manage multiple accounts. If you work with more than one organization, you can now License shows, request Perusals, order Resources, and pay invoices, all through a single MyMTI login. Take advantage of all the exciting interactive features on our new website by creating a Web Profile. Your Web Profile makes you a member of our theatrical community, where you can ask and answer questions, “Follow” shows, and participate in our Community Marketplace. If you are having trouble with your login, this may help. “Following” a show is the perfect way to find out when a Future Release title has been made available for licensing. Simply click the FOLLOW button and you'll receive an email as soon as the title becomes available for licensing. This exciting feature is our new and improved take on the former Fast Track Notification. 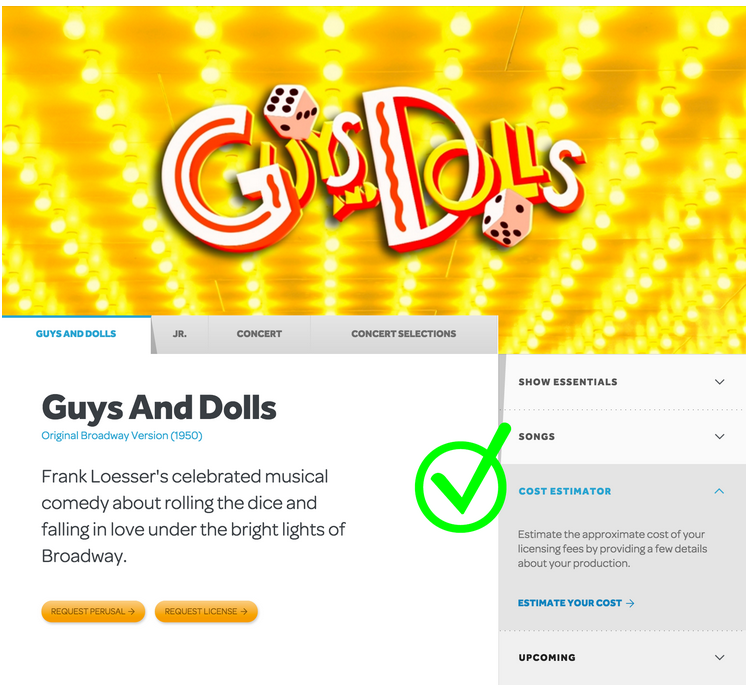 Our revamped search functions allow you to find an MTI musical based on a number of different criteria such as musical style, genre, setting, cast size, and much more. Our show pages also have a new look and are organized to house all versions of that show on the same page. For example, the Annie show page features the full-length show, the 30-minute KIDS version and the 60-minute JR. version in addition to any available Concert Selections. Now you can get a quick, “ballpark” figure for the price of licensing a specific MTI show without going through the full application process. 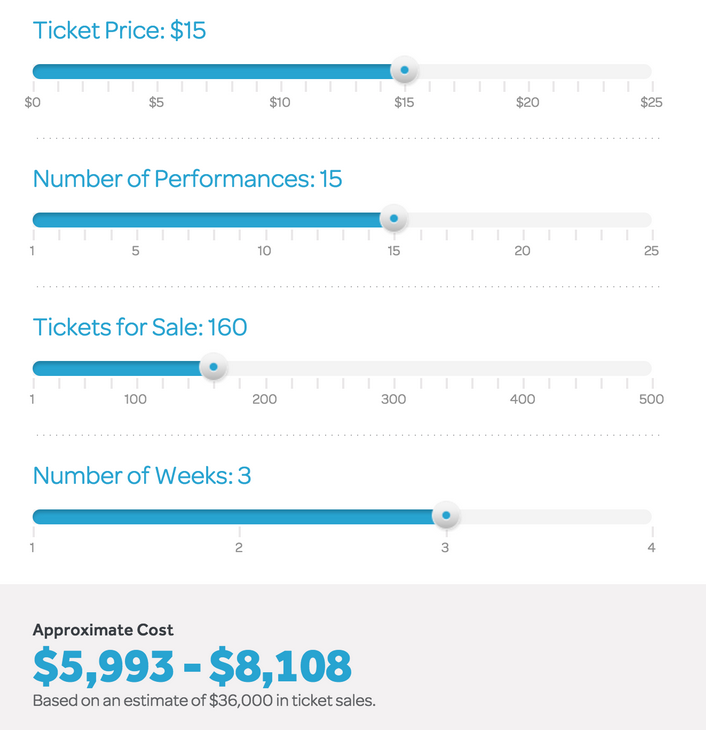 Input your anticipated ticket price, number of tickets sold per performance, number of performances, and number of production weeks to learn the approximate cost of licensing this title. 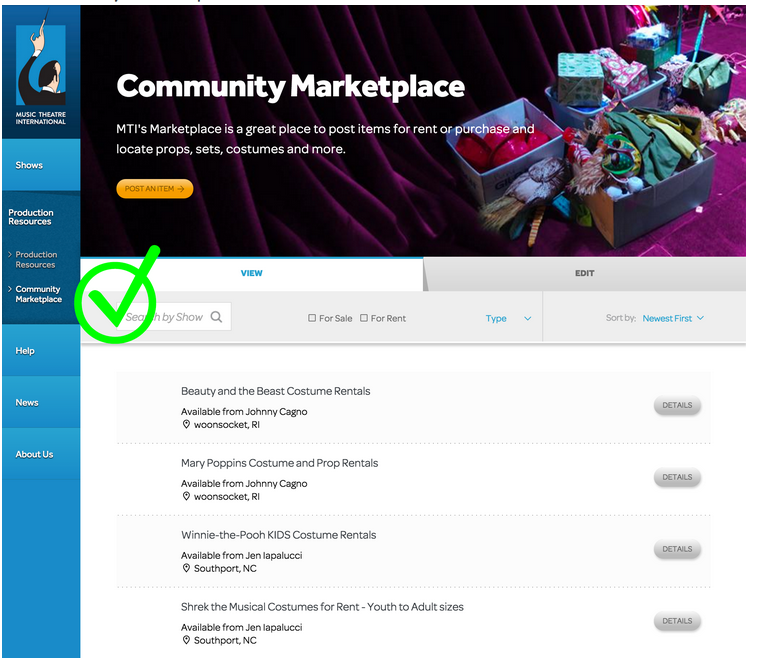 Formerly known as “Community Rentals” on MTIShowSpace, our new “Community Marketplace” is the area to post and view pictures of sets, props, and costumes to sell, rent, or trade with other users on the site.